If the thought of flying and standing in long TSA lines before reaching your travel destination triggers a migraine, these tips from the TSA will show you how to properly pack your gadgets, accessories, and chargers, and speed through the security line like a frequent flyer. A foolproof way to get everything in your bag, the best way to wrap cords, and the most TSA-friendly bags await in these five tips. Pack in layers — Layer clothes, electronics, then clothes again inside a carry-on so the TSA agent can quickly see what’s in there. This strategy also works better than the cram-everything-in-your-bag strategy once you unpack at your destination. Wrap the cords — A tangle of cords could look like something potentially harmful if it’s viewed a certain way, which could mean a more thorough and time-consuming bag check. Wrap cords around their devices, pack chargers together in one bag (ziplocks work! ), and take advantage of rubber bands and twist ties to keep them tangle-free. Keep big items in your carry-on — Not in checked bags. Laptops and DVD players have to come out of your bags at screening checkpoints, but they won’t fare well in checked bags unless you’re down with a TSA agent potentially digging them out. But know what can stay inside — Don’t forget: tablets, ereaders, laptops, and gadgets smaller than a 13-inch laptop can stay in your carry-on. All other electronic devices need to come out. 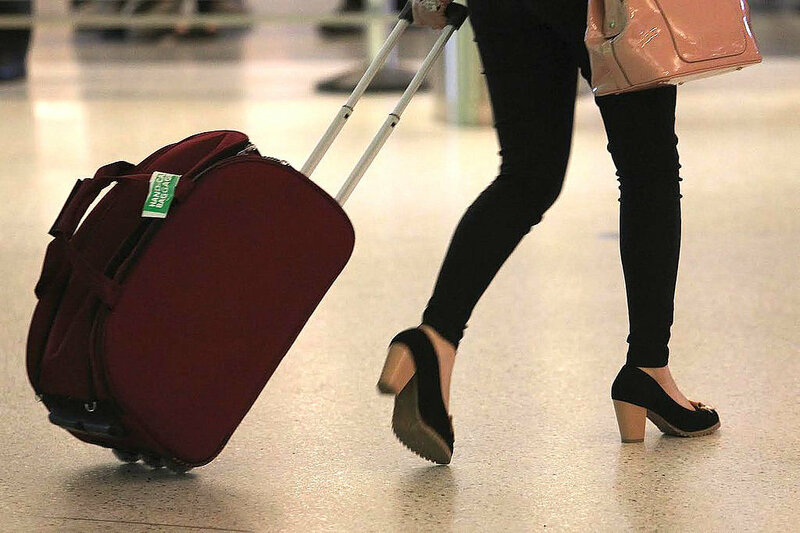 Get a TSA-friendly bag — Of course, you could just get a TSA-friendly bag for your laptop, which will glide right through the checkpoint without a problem. TSA-approved bags provide a clear and unobstructed view of the device inside through the X-ray scanner. These can be one of three styles: sleeve style, butterfly style, or trifold style. They won’t have pockets, metal zippers, snaps, logos, emblems, or other branding that can obstruct the view of the laptop in the X-ray scanner, and they can only house the laptop. Other items like chargers, cables, and accessories should be packed separately.